Snorkeling Tour in Yogyakarta : Which beach can be used for it? 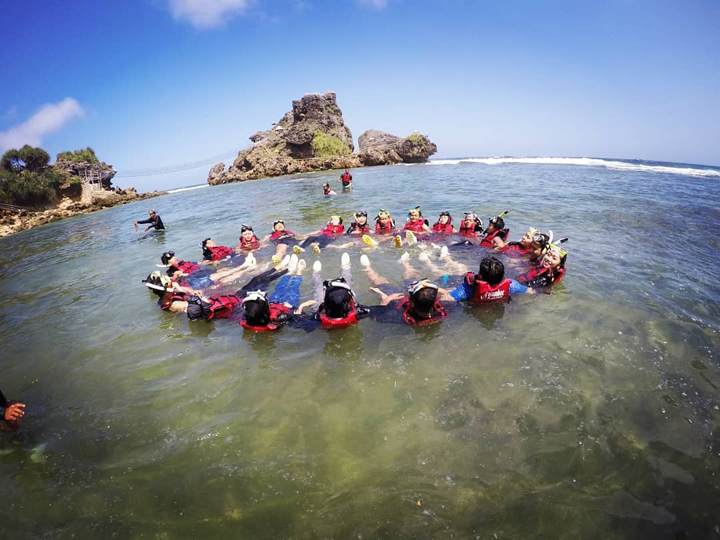 Snorkeling Tour in Yogyakarta : I can’t swim, can I do those activities? Snorkeling Tour in Yogyakarta : What can I do besides Snorkeling? Yogyakarta has various choices of tourist attractions. From beach tourism, temple tours, historical tours, pilgrimage tours, children’s tours, cultural tours, cave tours to the trendiest ones, namely selfie tourism. 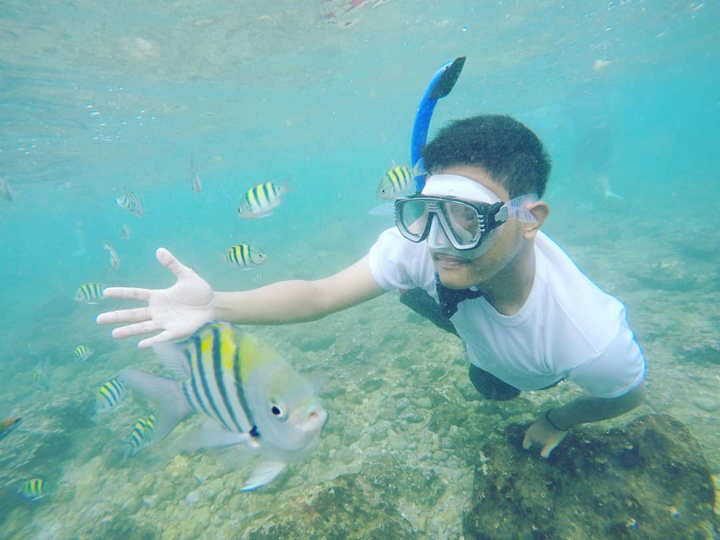 But there is a tourist activity that you should consider when you visit this city, the activity is called Snorkeling Tour in Yogyakarta. Yogyakarta has a coastal group along its territory in the south which is called, The “Indian Ocean”. Beaches in the area, have a large wave character, steep contours, based on coral rock. In the east, the beaches are white sand and in the west, the beach has black sand. Of the beaches that line the southern side of the Yogyakarta area, there are two beaches that you can visit for snorkeling activities. Namely Nglambor Beach, Sadranan Beach and Wediombo Beach. The distance between them is relatively not too far away. There are in the Gunungkidul regency but only different sub-districts. 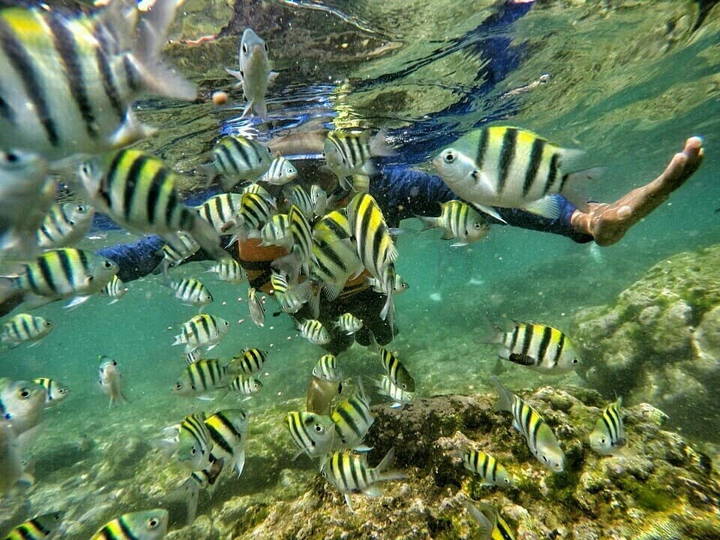 On the Nglambor, Sadranan and Wediombo Beach, you can enjoy snorkeling activities. Snorkeling is a diving activity on the surface using a tool called snorkel. Whereas diving in the depth of the sea is called : Diving / Scuba diving. For snorkeling activities it takes: shallow water, clear water, inhabited by sea fish and has beautiful scenery. What is the use of snorkeling if you only see the sea floor in the form of mud, no sea animals and turbid water. Whether on Nglambor Beach , Sadranan Beach and Wediombo Beach, the conditions needed for snorkeling have been fulfilled. There you can see and explore the sea floor inhabited by a variety of fish and underwater plants. You will get an amazing experience when you try to snorkel there. Snorkeling does not require special skills. You don’t have to be able to dive or swim. But you will be explain by the Guides about the right ways to snorkel. Because of the shallow sea, you don’t need to be afraid of drowning. You only need the courage to come to Nglambor beach. Sadranan Beach or Wediombo beach to enjoy snorkeling either alone or with friends. In Indonesia there are many cool snorkeling spots. For example in Bunaken, Banda, Karimunjawa, Tulamben Bali, Wakatobi and others. You can visit there if you want. But if you are in the plan to go to Yogyakarta. You must visit the two beaches that we mentioned above. And for the price is relatively affordable for those of you who are still beginners. Still afraid to snorkel? On the beach of Nglambor, Sadranan and Wediombo, There are other activities that you might enjoy if you didn’t dare to do snorkeling. 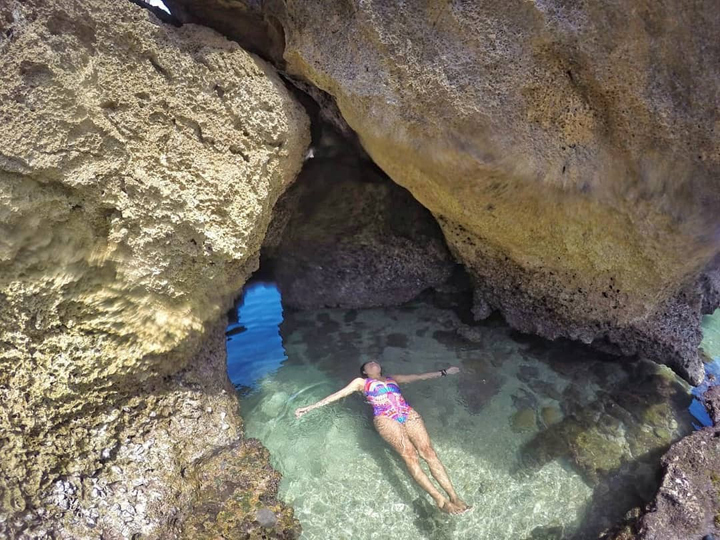 For example, You can explore the beach by walking, Sight seeing the shape of The Karst hill, Selfie in the viewing post, Play water on the shore or Enjoy a fresh seafood dishes in beach side stalls. Don’t Forget, you can find several great spots to upload on the social media. If you feel snorkeling tour is less challenging, at Wediombo beach you can play surfing. With waves that are quite fierce and tight. The beach is currently the right spot for surfing activities. there also provides surfing equipment rentals and guides that will guide you to surfing. Do you dare to surf? Snorkeling tour activities at Nglambor, Sadranan and Wediombo beach, can only be happen in the morning and afternoon. Of course, You won’t see anything on the seafloor at night. You also can’t do snorkeling during the high tide. Well, if you feel ready to snorkel, immediately head there. What are you waiting for? Snorkeling activities will make you happy. We guarantee that.